AEON isn't just a currency. Decentralized digital currency is slowly becoming a normal part of everyday life. Yet everybody's main internet device continues to be their cellphone, a device with a low-powered CPU and limited available storage. AEON is about enabling this era, enabling an age where all people everywhere have the freedom to privately send and receive money with whatever gadget they already own. Each transaction is secured with robust cryptography and distributed through a global peer-to-peer consensus network. By default, AEON utilizes a cryptographic system to transfer funds without the identifying information of each user becoming visible on the blockchain. AEON uses ring signatures to make transactions untraceable, meaning it is very difficult for blockchain analysis to determine if funds have been spent. How is AEON different from Monero? 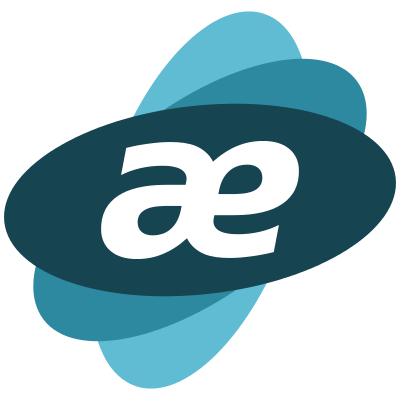 1 MB scratchpad allows AEON to run efficiently on mobile devices alongside regular laptops and desktops. AEON's lightweight PoW (CryptoNote-Lite) allows for faster verification of the blockchain. Pruning allows the blockchain to stay small and not outgrow devices with limited storage. This feature also improves anonymity by reducing age-based attacks. Compared to Bitcoin variants, CryptoNote coins typically have higher verification, leading to more orphaned blocks. AEON helps this issue by using a 4-minute blocktime. Coupled with our lighter PoW, sync times on lower end devices can be improved by 10x or more. As a CryptoNote coin, payments are still anonymous by default. But unlike Monero, AEON also allows for traceable transfers. These are a faster lower-fee option for non-sensitive payments, like transferring to/from exchanges. Overall, AEON seeks to be a lightweight-Monero, similar to how Litecoin seeks to be a lightweight-Bitcoin. While still drawing from the technical advantages of Monero and CryptoNote, AEON has distinct development goals and an independent community that enable it to thrive as its own currency. AEON is open source and completely free to use without restriction. Likewise, everybody is welcome to contribute. We will send you notifications about new Aeon releases and other important announcements like security patches. Click here to go to our email subscription page. Copyright © 2017-∞, AEON, The Monero Project.